The fur industry likes to claim that it a sustainable industry, even environmentally responsible, sometimes, even ‘green’. This claim is laughable and does not stand up to scrutiny. The trade says it does not use fur from endangered species. Of course it doesn’t because that would be illegal. The more important, unsaid, issue is why many of these species are endangered in the first place. Overexploitation by the fur trade has played a big part in many species being pushed to the edge of extinction and why they now need legal protection. Fur factory farming was introduced in response to the dwindling wildlife populations that resulted from many years of over-trapping. This intensive factory farming of mink and fox – currently more than 50 million each year – is now causing environmental problems of a different kind. These impacts are caused by the use of feed products including fish, cereals and drinking water as well as pollution and disease from waste products such as manure and animal carcasses. 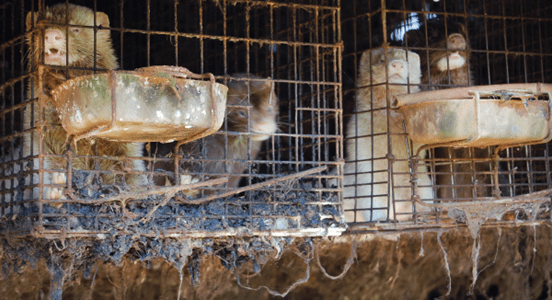 Mink, fox, and rabbits, raised en mass in fur factory farms, account for more than 85% of the world’s trade in fur. The animal wastes contain high concentrations of nitrogen and phosphorus. A 2003 Michigan State University study in The Fur Rancher Blue Book of Fur Farming states that “the U.S. mink industry adds almost 1,000 tons of phosphorus to the environment each year.” Excess levels of nitrogen and phosphorus are considered the most common form of water pollution in the United States. If not properly handled, the chemicals in the waste collected at these facilities pollute local water systems through runoff and leaching leading to nitrogen eutrophication and fish kills. Air pollution comes from gases released from the animals’ manure and can have an adverse impact on the quality of life of local residents. It can also cause damage to surrounding ecosystems. Ammonia is a major concern, not just from the farm itself, but also from the manure if it is spread on surrounding land. Fur factory farms also consume vast resources. The use of feed ingredients such as marine mammals, fish and cereals, not only threatens wild populations (directly and indirectly) but is also an unnecessary waste of a resource with the equivalent energy content to the needs of over 9 million humans. In addition, a staggering 2.4 billion litres of water is estimated to be consumed by farmed mink and fox alone, equating to the annual needs of more than 3 million humans. The transportation of an estimated 4 million tonnes of feed to mink and fox farms each year inevitably produces significant vehicle emissions containing atmospheric pollutants including: nitric oxide (NO), hydrocarbons (HC) and particulate matter in addition to greenhouse gases such as and carbon dioxide (CO2). An estimated 2.7 million tonnes of faeces and urine are produced annually on mink and fox farms creating pollution problems due to inadequate storage and disposal. Aquatic ecosystems can be affected in numerous ways by these animal wastes including increased nitrogenous oxygen demand in receiving waters, ammonia toxicity to fish, eutrophication, and health problems in humans and other animals. Ammonia from fur farms has been shown to cause damage to forests by affecting trees and other vegetation directly as well as indirectly via forest soils. There are also significant environmental issues raised by the disposal of the 40 million mink and fox carcasses each year, be it by incineration (airborne toxins), burial (toxic breakdown products) or rendering (high energy consumption and effluent production). Due to the design of fur factory farms, not only do they inflict odour nuisance, fly infestations, and problems with escaped mink on residential neighbours, they also provide a constant threat of transmission of viral and bacterial diseases, fungal infections, and parasites to wildlife and in some cases to humans (zoonosis). Alien species introduction has a profound effect on ecosystems and biodiversity. The threat is produced when a species is introduced whose activities impinge on those that have not evolved to withstand them. Species decline and possible extinction can result from the effects of predation, browsing/grazing and burrowing, hybridisation, reproductive disruption, competition for space or resources and disease transmission. The IUCN (the International Union for the Conservation of Nature) has recognised that alien species are one of the major threats to native biological diversity. It says “The impacts of alien invasive species are immense, insidious, and usually irreversible. They may be as damaging to native species and ecosystems on a global scale as the loss and degradation of habitats.” (IUCN Guidelines For The Prevention Of Biodiversity Loss Caused By Alien Invasive Species, 2000). It is estimated that the consequences of alien introductions rank second only to habitat loss as the major threat to biodiversity (World Resources Institute 1998). In cases where the cause of a threat of extinction of species is identifiable, introduced species head the list. Globally, almost 20 per cent of vertebrate species thought to be in danger of extinction are threatened in some way by introduced species (McNeely 2000). Alien species have been introduced unintentionally or accidentally while others have been deliberately released for profit. The fur trade has been involved with both. The main examples considered here are the North American Mink (Mustela vison), the brushtail possum (Trichosurus vulpecula), the coypu (Myocastor coypus), the muskrat (Ondatra zibethicus), the raccoon (Procyon lotor) and the raccoon dog (Nyctereutes procyonoides) all of which are ‘generalists’, able to exploit a wide range of resources. All have been deliberately (or sometimes accidentally) introduced for the benefit of the fur trade and all have had a dramatic and detrimental impact on indigenous wildlife and the wider ecosystem. The consequences of these species introductions have been dramatic, both economically and ecologically, hav severe impacts on biodiversity. Two of them, the possum and coypu, are listed on the IUCN’s ‘100 of the World’s Worst invaders’. The North American mink has been widely introduced into the wild by the fur trade. The consequences of mink predation have been far-reaching. Water birds are most at risk and declines in bird numbers have been recorded or suspected throughout the mink’s introduced range. In the United Kingdom the water vole (Arvicola terrestris) is thought to have suffered since the mink’s introduction. The dissapearance of the water vole has been one of the most rapid and serious of any British wild mammal in the 20th century. Competition from the North American mink has also played a major role in the catastrophic decline of the European mink (Mustela lutreola) which is now at risk of extinction. Non-native Brushtail possums (Trichosurus vulpecula) were widely and deliberately released into the wild in New Zealand to establish a source of fur for the fur industry. This had led to widespread damage to New Zealand’s ecosystem. The possums have thrived and now occupy all available habitat in greater densities than in their native Australia. Possums feed on just a few species and their browsing can lead to total canopy collapse, resulting in local extinctions of some species. The possums may also compete with native species for space or resources resulting in the decline of species such as the New Zealand kokako (Callaeascinerea wilsoni). Many species such as the kiwi (Aperydiformes spp.) may also have suffered. The possum also predates on native birds, land snails and insects. The current use of poisons and traps to control possum populations kill many native species. Where South American coypus (Myocastor coypus) have been introduced they have caused significant damage to wetlands through a process known as ‘eat out’ and burrowing. In coastal Louisiana, USA, coypu activity is currently adversely affecting 100,000 acres of internationally important marsh vegetation. Wetlands are vital as habitat for migratory birds and their loss has serious implications for a disproportionate number of endangered species. The muskrat (Ondatra zibethicus) – a native of North America – has also been extensively introduced by the fur trade. This semi-aquatic species can cause damage to wetlands, like the coypu, by ‘eating out’ vegetation. When muskrat populations are high this can lead to a dramatic reduction and changes to aquatic plants. Throughout the muskrat’s introduced range it has had significant effects on natural vegetation. The raccoon (Procyon lotor) and raccoon-dog (Nyctereutes procyonoides) are two more alien species present in many countries as a direct result of the fur trade. Raccoon-dogs are predators, competing with the red fox and the badger, and pose threats to waterfowl and frog populations. 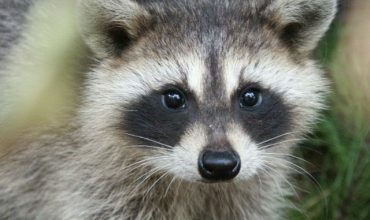 The raccoon preys on native bird species and can transmit rabies. While the fur trade continues to reap the benefits from introducing these ecologically damaging species, natural ecosystems are becoming impoverished and species are declining as a result. Historically, the fur trade has ruthlessly plundered wild mammal populations and continues to do so today. As early as the 16th century, populations in western Europe were considered by the fur trade no longer economical to trap as a result of excessive hunting. As animals were systematically trapped out and became commercially extinct, the search for healthy populations of animals went further afield. The discovery and occupation of North America proved a bonanza for the fur trade. Competition amongst early settlers was intense, and wild mammal populations were sometimes deliberately exterminated out to prevent rival groups profiting from them. The beaver became severely depleted in North America as a result of the fur traders. Sea otters and fur seals were brought to the verge of extinction and the sea mink was lost forever. Further afield, the Falkland Island fox also became extinct due to the fur trade. Chinchilla fur was so highly prized that trapping caused their population to decline which caused pelt prices to increase, resulting in trappers going to even greater lengths to catch the remaining individuals. Trapping was so intense to the point that it was thought chinchillas had become extinct in the wild. The fashion trend for wearing spotted cat fur in the 1960s was seen by the IUCN (International Union for Conservation of Nature and Natural Resources) as a threat to the continued existence of spotted cat species, particularly leopard and jaguar. Despite warnings and recommendations to suspend trade in these species, the killing continued. The full impact of the commercial trade in the skins of cat species may never be known, but what is certain is that most cat species that have been exploited by the fur trade are now listed as either endangered or threatened. Concern over the impact the fur trade was having on wild cat species was a primary reason for the development of the Convention on International Trade in Endangered Species (CITES). But as the most profitable big cat species became endangered and therefore protected by CITES, the trappers simply turned their attention to other species. Trade in the skins of species such as ocelot rocketed in the late 1970s and early 1980s leading to their inclusion on the list of protected species by the early 1990s. As trade in this group of smaller cats declined due to population declines and bans, trade patterns again shifted, this time to the bobcat, Canadian lynx, European lynx and leopard cat. In this case CITES has done little but monitor the demise of animal populations threatened by the fur trade. Cats were not the only group of species to have suffered heavy exploitation by the fur trade during this time. Giant otter populations now only exist in isolated locations and are absent from many previously inhabited areas following massive overkill for the fur trade during the 1960s. The international fur trade is driven by economics and monetary gain and the economic forces behind the trade carry high risks of over-exploitation of animals. In addition where trapping regulations exist, they are often ineffective. Trapping seasons are commonly set to maximise pelt quality (and therefore maximum profit) and not the health of animal populations. Removing individuals from a population may be depriving the ecosystem of a vital component as predator-prey relationships may be altered resulting in changes to the ecosystem. The trapping of non-target species by fur trappers is another big threat to wildlife populations. The traps most commonly used throughout North America are non-selective and cause severe injuries to animals unlucky enough to be caught in them. Given the millions of animals trapped each year in North America, non-target victims will also be caught in significant numbers. A loss of even a small number of individuals from a population of threatened or endangered species puts additional pressure and risk on them. As soon as the pelt is removed from the animal it begins to decay. Chemicals such as formaldehyde are needed to prevent the animal skins from rotting. One of the first signs is hair loss as individual hairs begin to fall off the skin. It’s pretty obvious really, since fur is part of a dead animal it needs protection from attack by natural decay agents including insects, bacteria and fungus. In fact, a cocktail of harmful and toxic substances are used to process and protect raw furskins. These include surfactants and fats, solvents, acids, tannins, biocides, fungicides, dyes and bleaches. Workers in the industry are at risk from acute and chronic effects ranging from skin complaints and eye irritation to cancer and even death. Risks to the environment include toxicity to aquatic organisms, as well as air pollution. Much of the fur processing industry has moved to developing countries such as China due to their lower environmental standards and cheap labour. However it still takes place in a number of European countries including Italy, Greece, Germany and the UK. A 2003 European Commission Integrated Pollution Prevention and Control study on Best Available Techniques for the Tanning of Hides and Skins recognizes the tanning industry as “a potentially pollution-intensive industry.” The Industrial Pollution Projection System rates the fur dressing & dyeing industry one of the five worst industries for toxic metal pollution to the land. After animals have been killed on fur factory farms or on trap lines, their skins are pulled off the animals’ bodies. Now referred to as a “pelt,” the animal’s skin with the hair still attached is sent to be tanned (or “dressed”) and perhaps dyed, bleached, or otherwise treated. Two of the main methods for dressing fur skins involve chemicals that are listed as carcinogens and are toxic to humans. Formaldehyde is used during dressing and dyeing, as already mentioned, to protect fur follicles. Formaldehyde is on every major list of toxic substances, including the EPA (US Environmental Protection Agency) Toxics Reporting Industry (TRI) list of reportable toxic chemicals, the American Apparel and Footwear Association Restricted Substances List (AAFA-RSL) and the California Proposition 65 SuperList of chemicals known to cause cancer. 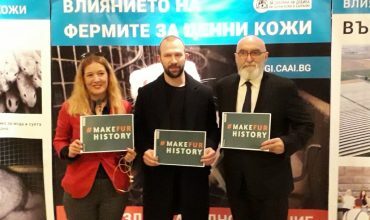 According to the International Agency for Research on Cancer (IARC), “this chemical is carcinogenic.” This expert working group of 26 scientists from 10 countries determined in 2004 that “there is now sufficient evidence that formaldehyde causes nasopharyngeal cancer in humans” and strong evidence that formaldehyde causes leukemia. Chromium is used in the “chrome tanning” process – a common method for dressing fur skins. It is widely considered to be toxic, and even carcinogenic in some forms. In 2003, children’s toys and other retail items made with dog and cat fur and sold in Australia and Europe were found to contain toxic levels of chromium. Chromium is on the EPA TRI List of reportable toxic chemicals and the California Proposition 65 list of chemicals known to cause cancer or reproductive effects. Other chemicals that may be used or emitted in the fur dressing and dyeing processes and that appear on one or more US government lists of toxic chemicals include aluminium, ammonia, chlorine, chlorobenzene, copper, ethylene glycol, lead, methanol, naphthalene, sulfuric acid, toluene and zinc. Naphthalene-which may be used during the dyeing and finishing stages, as a component of the oxidation dyes- is also listed as an OSHA carcinogen. Ethylene glycol, lead, toluene and zinc are among the chemicals used known to be developmentally and reproductively toxic to men and women. The Encyclopaedia of Occupational Health and Safety (4th ed.) states that “various chemicals used in the fur industry are potential skin irritants.” Furthermore, a 1998 study of workers in the American Journal of Industrial Medicine found that women employed as leather and fur processors may be associated with an increased risk of breast cancer. Furthermore, the European Commission considers air pollution to be one of the chief environmental concerns of the tanning process, whereby toxic and odorous substances are typically emitted during normal tannery operations. The chemicals listed in the section above are just a sample of all those used in fur dressing and dyeing, and all furs are dressed in order to be used for fashion. Dressing is important as it prevents fur from biodegrading. In the pre-dressing preservation process, “common salt is used to remove moisture from the skin, inhibiting putrefaction.” This is the explicit purpose of subjecting fur garments to a dressing process before they can be sold-to stop the natural process of biodegrading. 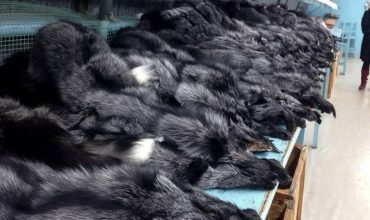 Raw furs are often transported from the factory farm to the fur processors and manufacturers via auction and finally to the fur outlet, clocking up thousands of ‘fur’ miles of transportation energy costs along the way. The total energy consumption of a fur coat is estimated to be at least 15 times that of a synthetic fur. Considerable energy costs are also incurred as a result of the required cold storage during spring/summer months throughout the lifetime of the product. In addition to the energy costs of transporting the animal pelts and finished fur garments around the globe energy is consumed at every stage of fur production. Beginning with transporting feed to fur farms or trappers setting and checking their traplines, then shipping the animal pelts to international auctions and on to dressers, dyers, manufacturers, wholesalers, retailers and finally to the consumer, vast amounts of energy are consumed. Petrol is used by trappers to check their miles of traplines on a regular basis, to remove dead and dying animals and to reset the traps. In many of the highest-trapping states trappers are required to check their traps every day for the 3-4 month duration of the trapping season. They do this using vehicles including trucks, snowmobiles, four-wheelers and even airplanes. And when trapping in inaccessible areas of Alaska, “many gallons of expensive gasoline must be freighted in” simply to operate the snowmobile. Trappers use so much gasoline, in fact, that a steep rise in price per gallon will leads to many trappers reducing how many traps they set or stopping altogether. In the late 1980s, Higgs Furs in the UK placed a series of advertisements using the headline: ‘Environment Friendly Furs by Higgs’. The company claimed that ‘furs are completely environmentally friendly’. The Advertising Standards Authority (ASA) received a number of complaints challenging this claim including one from Lynx (Respect for Animals’ predecessor) which provided ample evidence to show that furs could not realistically be described in this way. The ASA agreed and told Higgs Furs that they should change its advertisement accordingly. Similarly, in 1992 Dutch group Bont voor Dieren lodged a complaint with the Dutch ASA against fur trade advertisements that described fur as ‘ecological’ (they also claimed that the welfare of animals on fur factory farms was ‘excellent’). Evidence was provided by both sides and an exhaustive procedure undertaken after which, once more, the independent ASA said that fur could no longer be called ‘ecological’ describing the use of the word in this context as both ‘misleading’ and ‘improper’ (it also concluded that the claims over ‘excellent’ welfare were misleading). The judgement concluded that the Dutch Fur Institute’s attempt to take advantage of the public’s increasing concern for the environment was ‘intolerable’.